I've tried installing touchpad indicator, I've tried adding a syndaemon option from startup application, I tried the same but from the terminal, nothing works. I Just want to disable the touchpad completely while typing, no scrolling, no moving the cursor, nothing. I suggest installing libinput it has much better "disable while typing" and "palm detection" algorithms. and restart the GUI session, or reboot. to the touchpad section of /usr/share/X11/xorg.conf.d/90-libinput.conf. All options can be found on the manual page. If you are using Ubuntu 16.04 with the -hwe-16.94 stack, you will need to install xserver-xorg-input-libinput-hwe-16.04 package instead of xserver-xorg-input-libinput. You can check which HWE stack is installed by checking if xserver-xorg or xserver-xorg-hwe-16.04 package is installed. Additional information for other users reading this post : The answer was written before the content of the question was changed, originally the question was : "An actual solution to disable touchpad? I just want to disable the touchpad completely, no scrolling, no moving the cursor, nothing." - so the answer from @Pilot6 is the much better solution for what the current version of the question is asking about ! You can also do it with Synaptics. That will not be permanent, but you can do this by creating or editing the following file and adding Option "PalmDetect" "1"
Once you have determined the options you like, you should use your login manager or xinitrc to have it run automatically when X starts. The -d option will make it start in the background as a daemon. 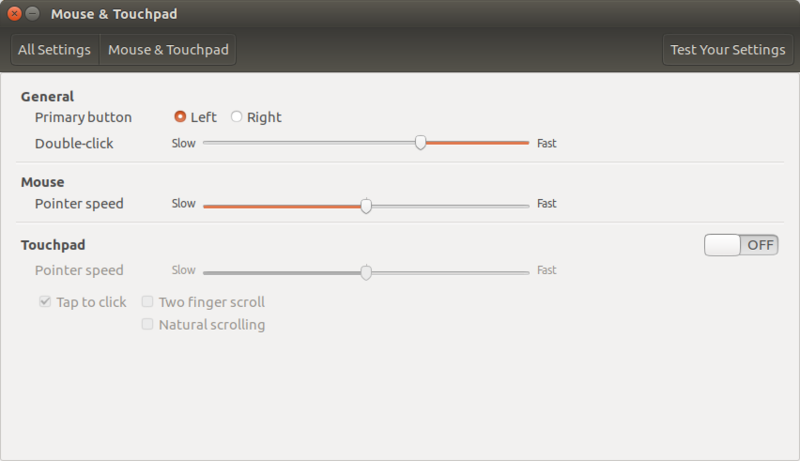 This is very similar to How do I disable a touchpad using the command line? which recommends the synclient program. How do I disable a touchpad using the command line? How do I verify that syndaemon is disabling the touchpad while I type?